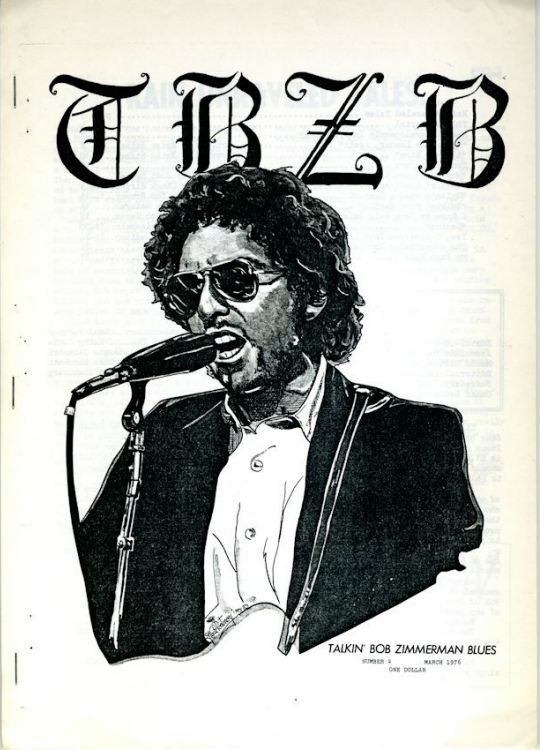 Editor Brian Stiball, A4, 1975-1976. 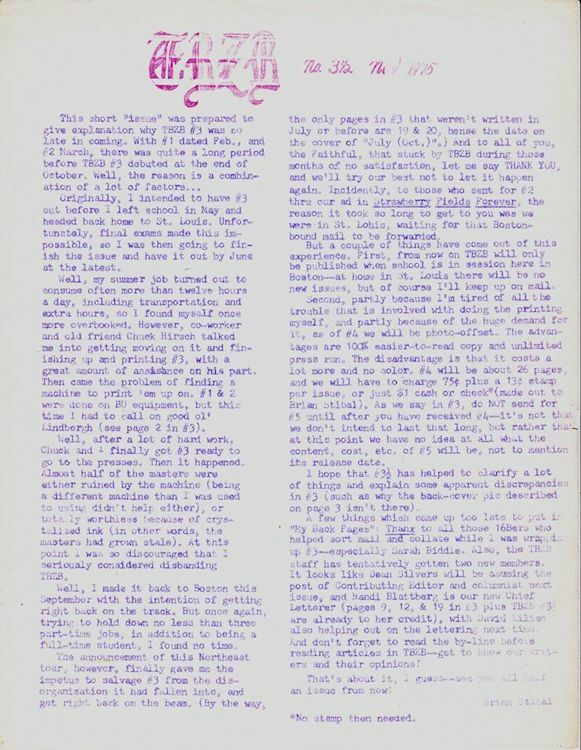 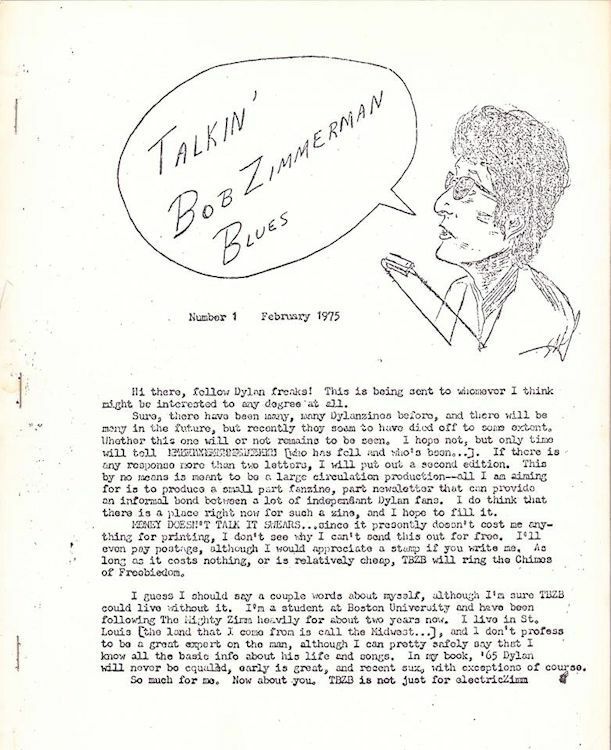 It was believed to be the first Dylan fanzine, and for a buck, subscribers got guest columns, tour itineraries, and "Recent Developments in Dylanology" -David Kinney, in The Dylanologists: Adventures in the Land of Bob, Simon & Schuster 2014. 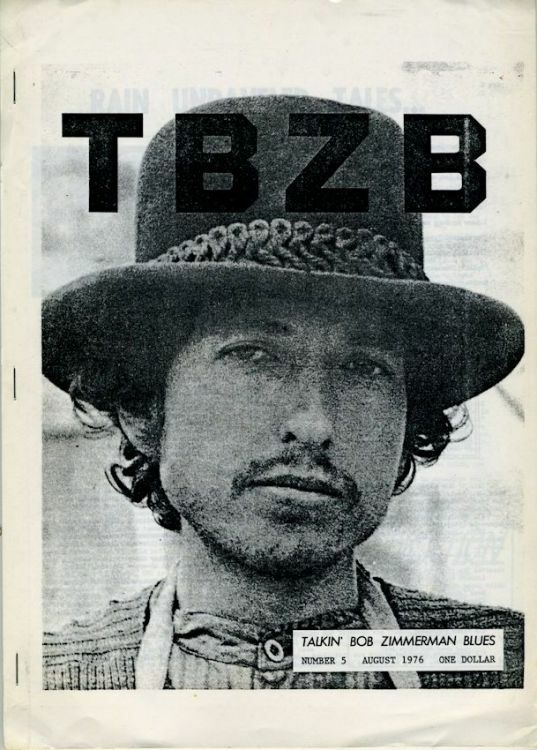 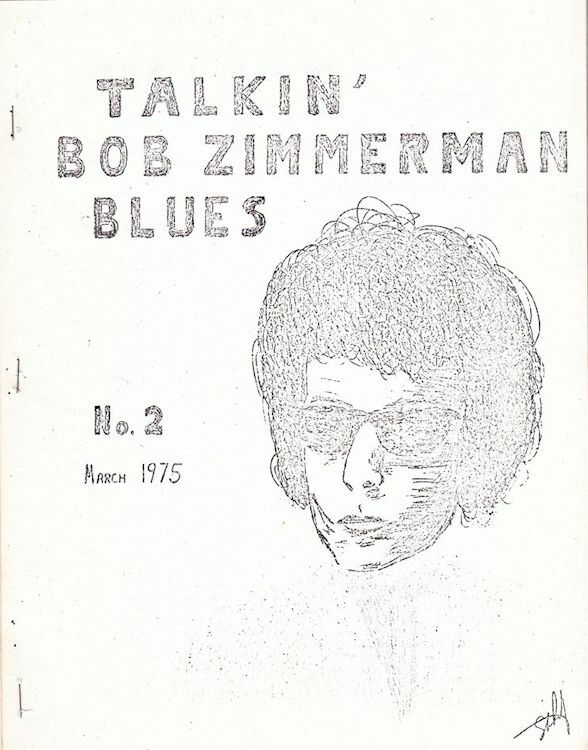 There were not less than four names through the years for this historic fanzine: it started with TALKIN' BOB ZIMMERMAN BLUES (issues 1-3 1/2 in 1975) and TBZB (issues 4 and 5, 1976), then became ZIMMERMAN BLUES (issue 6 to 9, 1977-1978), and was finally called CHANGIN' for its last issue #10 in 1979. 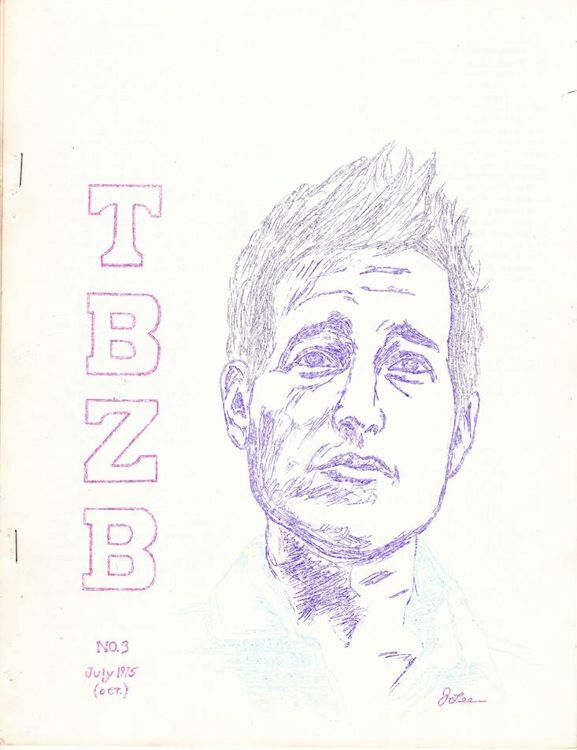 Many thanks to George Rothe for the scans of the early issues of this fanzine.